Motorola made only minor changes to its core apps suite, which includes Moto Voice (formerly Touchless Control) and Moto Migrate, among others. 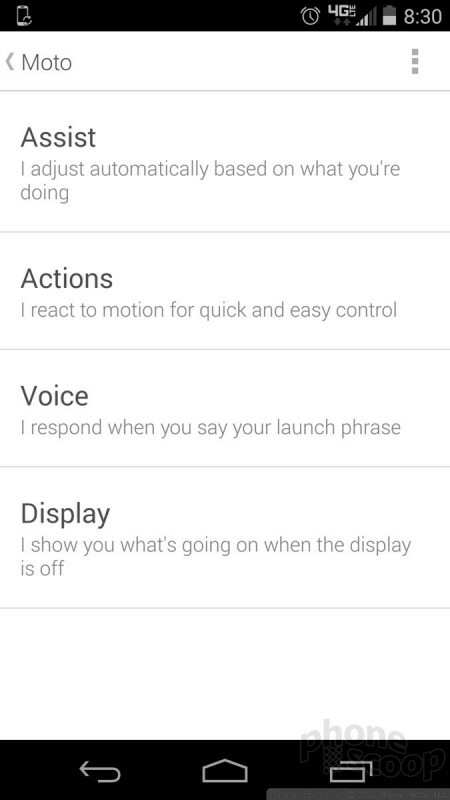 Motorola renamed Touchless Control to simply Moto Voice. It's the same basic app and service, but with several useful changes. 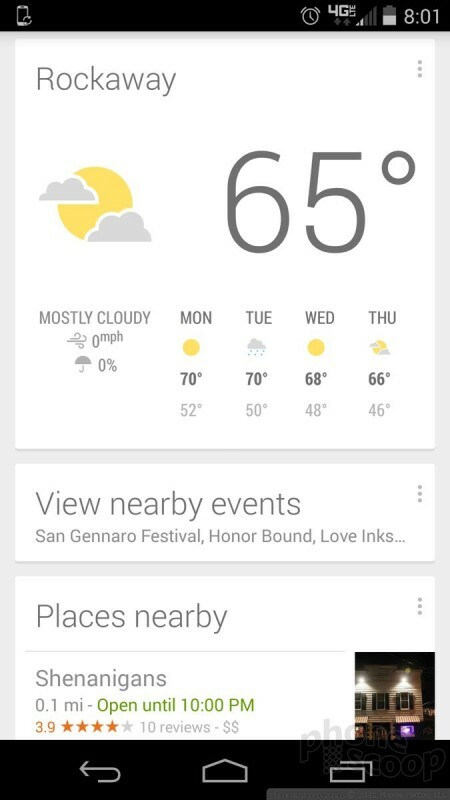 Instead of requiring everyone to say "OK Google Now" to activate Moto Voice, you can set your own catchphrase to open the app. Be creative, choose anything you want. Once the app is open, you can command the phone to do anything. For example, with the X sitting on my desk, I can say, "Yo Funster, call Mom's cell phone," and that's what the X will do. I don't have to touch anything else. The device provides visual feedback on the screen telling you what it is doing, and will speak that feedback, too, if you want it to. Making phone calls is the only task Moto Voice can perform if you've locked the Moto X with a code. If you say, "Yo Funster, who won the Yankee's game last night?" you'll have to unlock the X before it will give you the search result. You can also use several new commands, such as "Good Night" to put the X into sleep mode, or "Good Morning" to wake it up. When you wake the X, it will show you a summary of your daily schedule, which is rather helpful. 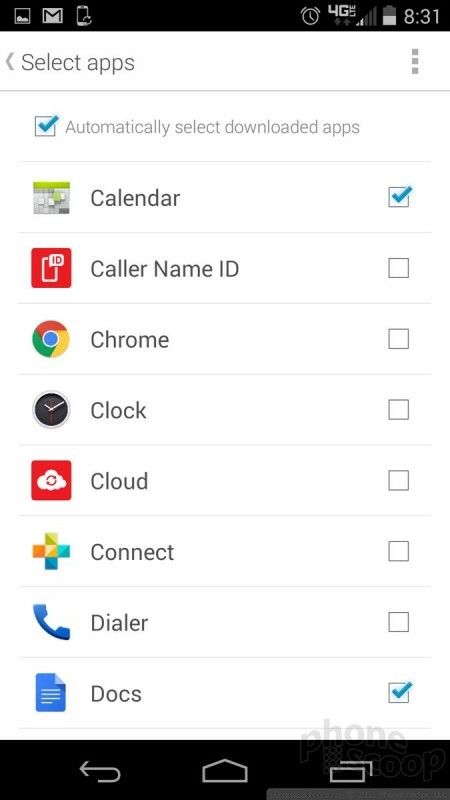 Moto Voice now also works with several more apps, including Facebook, YouTube, and WhatsApp. This means you can command those three new apps to do select things. 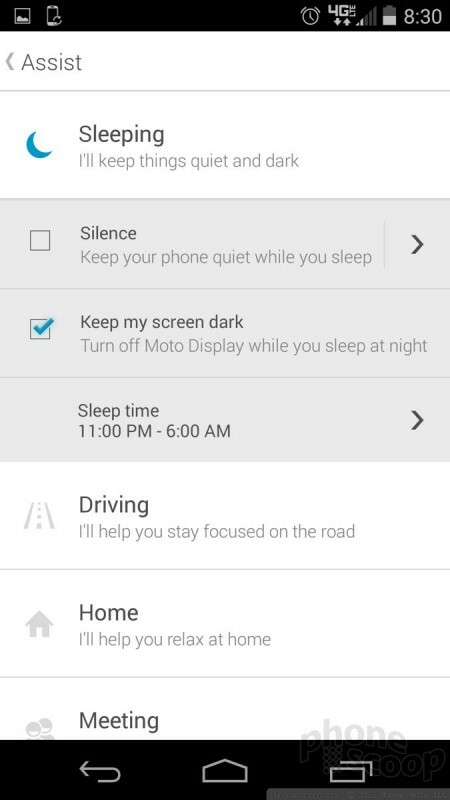 Moto Assist was a separate app that helped users manage notifications to prevent interruptions, such as when sleeping, when driving, and when in meetings. 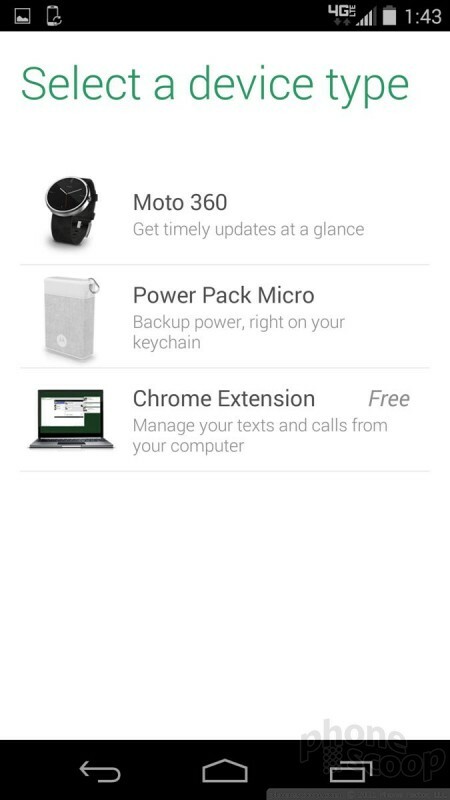 Moto Assist is no longer a stand-alone app and has been added to Moto Voice. You can find it buried in the settings menu (it's not really that obvious). 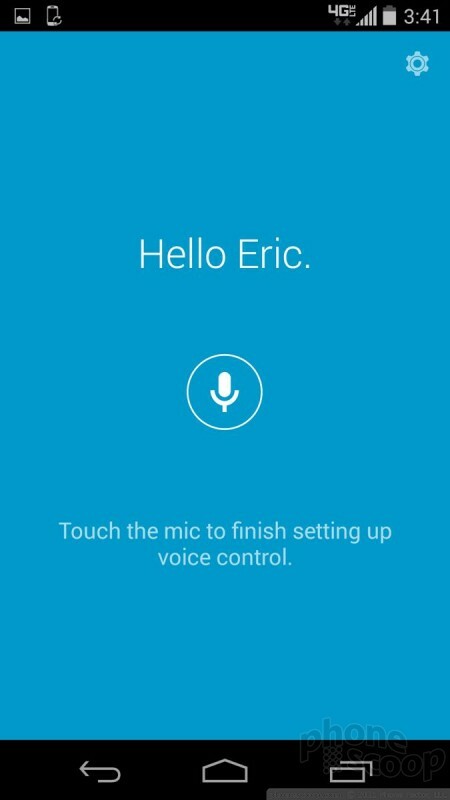 Because it is integrated with Moto Voice, however, you're able to use voice commands to initiate it. 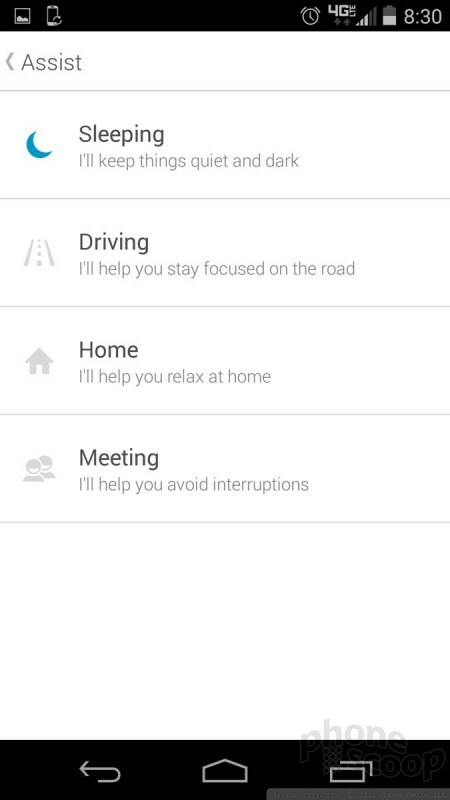 It automatically detects when you're driving, and can be set to enter sleep mode on a set schedule, if you wish. You can also allow select contacts to break through sleep mode. 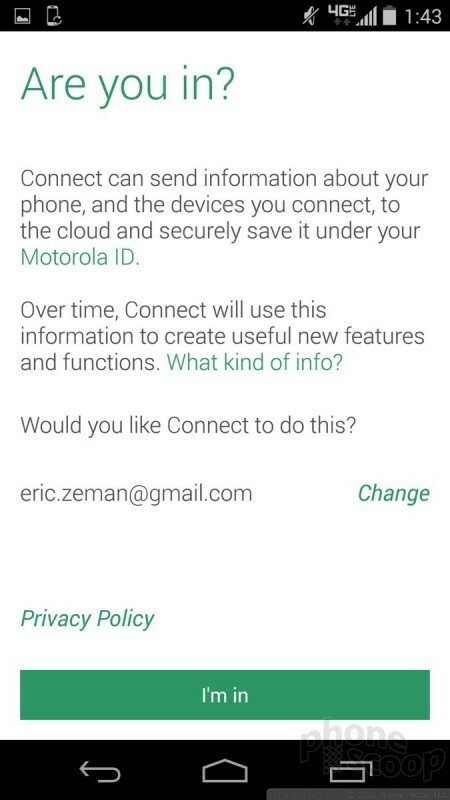 It's a useful tool, but I wish Motorola hadn't buried it so deeply in Moto Voice. 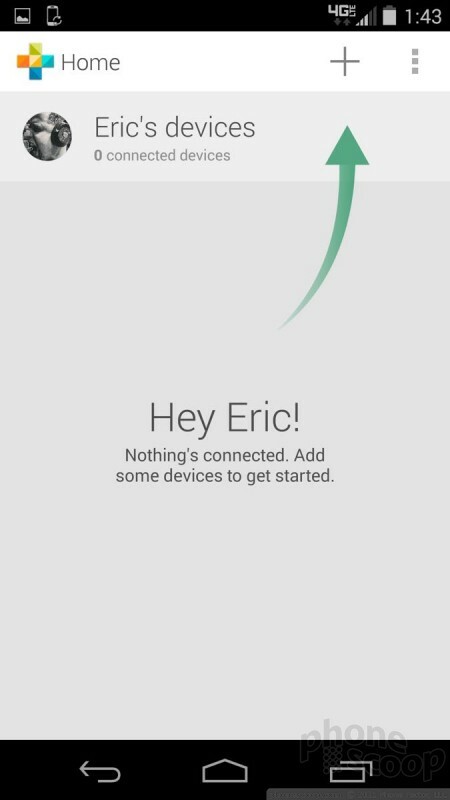 Then there's Moto Connect, which is meant to help you manage devices and view/respond to messages from other machines. For example, a Chrome plugin allows you to read and respond to text messages from the browser of your computer. You can also see messages sent to tablets and so on. It's dead simple to use and functions well. Moto Migrate is still around, too. 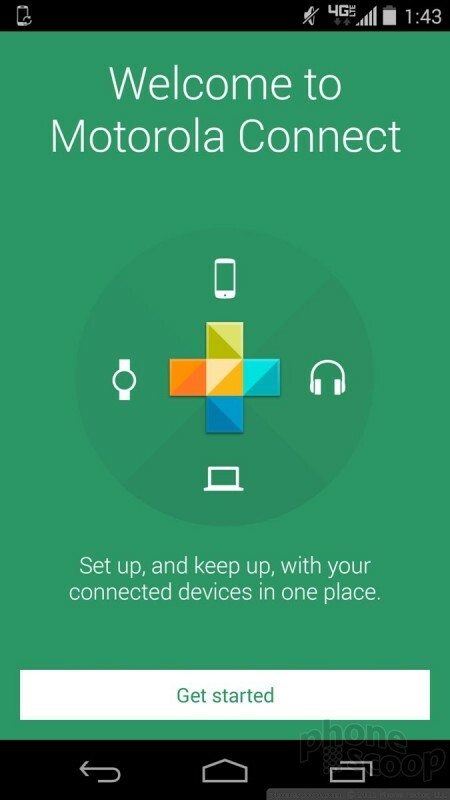 Migrate is meant to help you transfer all your content from one device to another. It works with media, call and text history, as well as SIM contacts. The tool makes use of a QR code scanner to pair the two devices and then uses Google's servers to migrate the data between the phones. It makes it pretty easy to send data to another device. 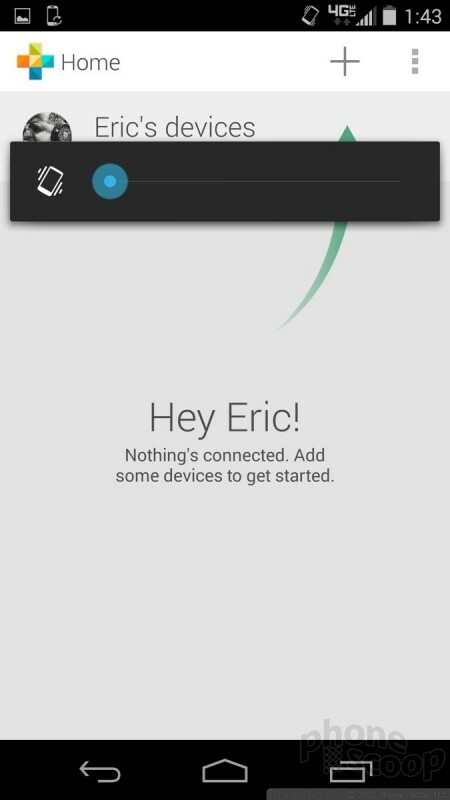 This functionality now also works with feature phones and can be used to transfer contacts through a Bluetooth connection.